51 Lukie Points will be rewarded to you when you buy this. Nintendo's all-star cast of combatants is back in Super Smash Bros. Melee, along with a new batch of brawlers ready to tear it up. Mario, DK, Link, Peach, Samus, Ice Climber and plenty of other characters make their Gamecube debut in 20 different stages pulled from virtually every hit Nintendo game. 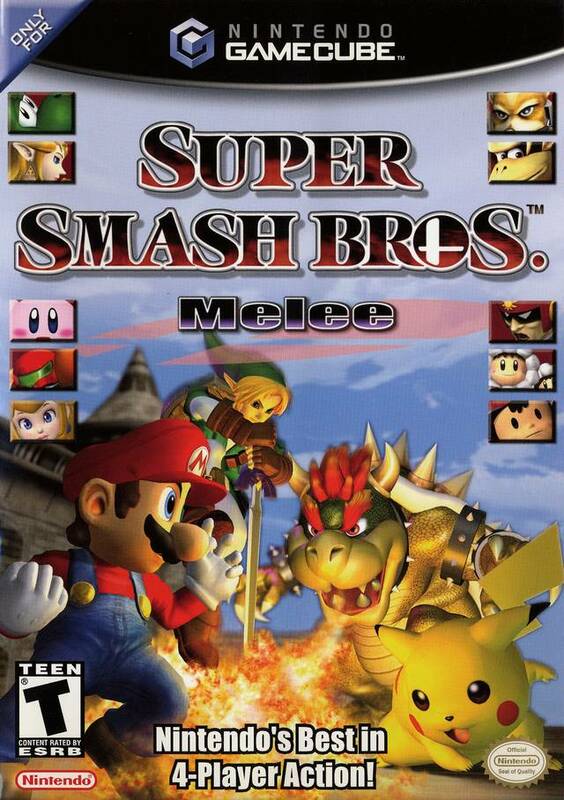 The most addictive multiplayer game on the N64 is making the leap to the next generation! The case I received was dirty, heavily scratched, and even had puncture holes in it. Absolutely terrible condition. The game, on the other hand, is in great shape. I guess the disc is what really matters, but it is disheartening to pay extra for a box and get a dirty old one with holes in it. I was absolutely excited when this game came in the mail because I used to play it all the time when I was younger. I put the game in my gaming system & I was in the middle of the game when I had a game error with black screen pop up. I thought it was odd so I resetted my gaming system and tried again. That didn’t help, it did it again! So extremely furious that I just spent $60+ on a game that doesn’t work, I emailed customer service explaining what happened on Saturday and got a response on Sunday! It was incredible. They made it right and had me send the game back and sent me another game. This time, the game works and I haven’t had any problems with it :) I would recommend using this company because their customer service was speedy and quick about making it right. This game came in superb condition, much better than I've encountered at any local stores. Like other products I've ordered on this website, I'm astounded by the quality and service. I can't recommend this website enough. As a Nintendo collector I feel like this site is a goldmine. Great condition, game came on time. Game came in a timely manner and in beautiful condition. The sticker came off easily with no residue, which is important for a collector). Never disappointed in my purchases from this site! This worked great and came in a timely manner, thanks Lukiegames! This and the others I bought came on time and in great shape, keep up the good work lukie games. 10/10 Highly recommend both purchasing this game & from this website! I placed my order on Sunday, 10/7, and received my item by Friday, 10/13, plus free shipping!! The disc came in near mint condition (a few barely visible smudges on the disk), which faar exceeded my expectations. The price was definitely worth it for the item I received. I've been playing this game since I got it and everything has been working perfectly. If you're on the fence about purchasing this game, I was too but just know that Lukie has a 90-day no-questions asked return policy where they pay for your return if you are not satisfied with your game. I will definitely be updating this post if anything comes up with the game as I continue to play it, but so far I am more than happy with my purchase! **Quick note: I bought the game only option which was completely worth it. Disc came in a protective CD case that fully did the job! 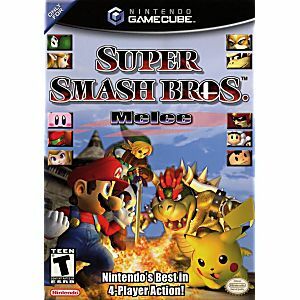 Melee is the ultimate smash game, thanks for having it in good quality and in stock Lukiegames! I got to say, I love the fact that the game came in great condition and that I get to relive the memories of my childhood. Would definitely recommend Lukie Games to my friends and family! At first I was sent the wrong game so I emailed them and they very quickly responded and got me the correct game. The condition of the game was also very good. This is a good company. Ordered the same game from another site for more money & it wouldn't even read. Ordered from Lukie, the game showed up within a few days & it worked perfectly! The ordering process was easy and brief, the delivery was even quicker. I expected it to take longer as they are based in Miami and I ordered around the time Irma hit, but my game showed up at my door expediently. My wife and I have been playing it almost every day. The game works great. The entire experience was great. LukieGames will have my business again in the near future.